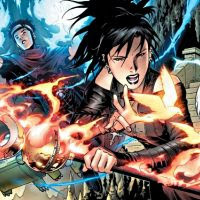 Nico made her debut in the Marvel Universe in Brian K. Vaughn’s The Runaways. But the first time I encountered her was in Avengers Arena and Avengers Undercover when she was trapped in Arcade’s Murder Island with a bunch of other teenage heroes. Nico quickly stood out to me as a character that needs to be in the spotlight. Throughout the two books Nico was used really well as a character who wants to do good in spite of her evil lineage. It is that internal battle that makes her one of the most compelling characters that is barely used. The last time she was seen she was fighting alongside most of the fellow survivors of Murder Island and their later encounter with the new Masters of Evil. Then you have her unique powers. Nico uses a highly powerful magic that is based on her using words for power, but she can never use the same power word twice. So as she goes she is also struggling to find new words to get the right effect. But Nico’s powers also have a darkside to them. When she loses her temper she can use blood magic like she did in Avengers Arena, but at what kind of cost to herself. Tapping into such a dark power has to leave a mark on the user in my eyes. 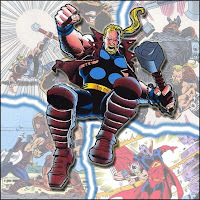 I am a huge fan of the Asgardian section of Marvel, so I would really like to see the return of this long defunct character that came out of a strange time in Thor comics. Thunderstrike first came into being when Eric Masterson became the alter ego for Thor in Thor #408, but he would later take the title Thunderstrike when he began wielding an Asgardian mace called Thunderstrike. As a side note, the title of Thunderstrike would later be handed down to Masterson’s son Kevin. I have a couple of ideas for this one. Marvel could either bring back Eric or Kevin Masterson to reclaim the role. Or what I think would be an interesting idea, bring in a new person to carry the mantle. In fact I would love to see a kid in their late teens or early twenties wield the Mace and be part of a new Young Avengers team while also figuring out his/her place in the world. Sure, Thunderstrike’s powers are practically the same as Thor. But there is potential to give the character his own place in the larger Marvel universe. He has been known as Impulse, Kid Flash, and even The Flash for just a couple of issues. Bart Allen has always been my favorite Flash character. I respect that Barry, Wally, and Jay all lead the way for Bart, but there was always just something that made Bart a lot more fun to read to me. I realize Bart was in the new 52 for a while as part of the Teen Titans, but I choose not to recognize that as part of my head continuity. The new 52 made Bart into a criminal from the future. And on top of that he was written horribly. Almost as bad as Tim Drake. 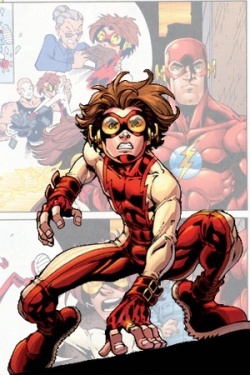 I would like to see DC bring back the Bart Allen that I love to read. He was fun loving, and did what came to his mind often without thinking. Which earned him his first hero name Impulse. But it was also that fact that often got him into so much trouble. Or at least ridiculed for some of his poor decisions. Like getting a Green Lantern tattoo in the first issue of Geoff Johns Teen Titans run, which quickly faded till it was gone because of his super fast metabolism. When Convergence is wrapped up I would love to see Bart returned to being that fun loving member of the Teen Titans. 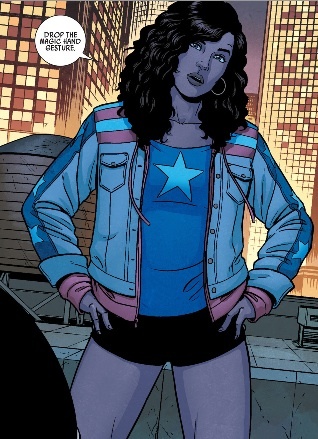 America Chavez first crossed my path when she showed up in volume 2 of Young Avengers by Kieron Gillen and Jamie McKelvie. She was the one character on the team that never took any of Loki’s crap. Now I have only read that particular book and not the series that she made her first appearance. But the way she is written by Gillen makes her a relatable strong female character that a lot of series seem to not want to use. America Chavez is never used as the victim which comes off as a breathe of fresh air in the current comic landscape. One of the more interesting facts about Chavez is her unique power set. Chavez has the ability to travel between dimensions by punching star shaped holes through the barriers between. As well as possessing extreme strength, durability and the ability to fly. Now I have heard that she has briefly reemerged in the recent A-Force book. But America Chavez is an overly confident, some would even say cocky, teenager that has a lot going for her if she is used properly. That would make her a great character for female readers to latch onto. And in the proper hands she could even be as popular as Kamala Khan. One thing's for sure, I can’t wait to see what the future holds for her. When Bane first debuted in comics he was a fairly one note villain who wanted to destroy Batman in every way possible. So Bane released every villain in Arkham knowing that if he just came right at the Batman he would never succeed. The rest of the villains were meant to be a distraction to wear Batman down so when Bane made his move Batman would be severely weakened. Needless to say his plan worked, and in the Knightfall arc Bane broke Batman’s back. Bane continued to be written as a well educated musclebound beast until he was defeated by Bruce Wayne’s replacement in the Batsuit Jean Paul Valley. Otherwise known as Azrael. Sadly, after that Bane became little more than a dumbed down steroid junky in a constant state of roid rage. Then in 2008 Gail Simone brought Bane into Secret Six, and Bane became an intelligent character again. Simone made Bane have a sensitive side and best of all she gave Bane a standard he now lived by where he refused to use Venom. He also instituted a set of rules within the Secret Six as he took over leadership when Scandal Savage, the original leader, showed no remorse about possibly sacrificing the life of another member of the team. 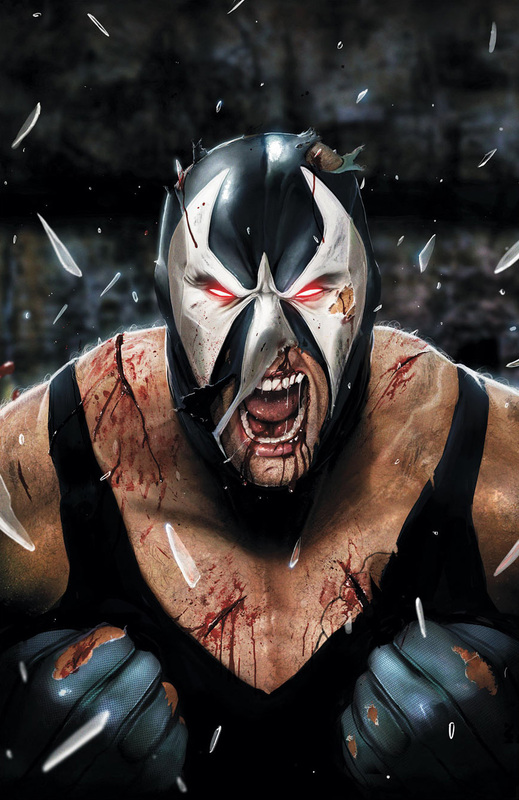 As Secret Six went on Bane continued to be developed into a much stronger character than he had been. And there is a great bit halfway into the series that shows what happens when Bane uses Venom, and it shows exactly how Bane sees the world when the Venom takes hold. I haven’t read any of Bane’s appearances in the New 52, but from what my research turned up it looks like other than a costume change his character has only changed a little. He still battles his addiction to the Venom compound. But at the same time it sounds like he is back to being a mustache twirling villain. These are just some of the characters that I would like to see get their chance in the spotlight. I’m sure that you readers have characters that you wish would get a bigger spot in their respective universes. I look forward to hearing your thoughts. But with the constant state of change within the main publishers there is always a chance that the ones you want to see more of will pop back up sooner or later. Thanks for reading this article. If you have any comments Questions or suggestions feel free to let me know in the comments section. And as always… Keep Reading Comic Fans! !